Apple made the official presentation of the newest flagship, the iPhone 5S. Here are 5 missing features from the iPhone 5S that support the statement that Android devices are a better choice. Apple has packed the iPhone 5S with a lot of power with its new 64-bit processor being the first to do so. However, in terms of other features the iPhone has really been left behind in the past years by the Android counterparts. Even though the iPhone has really strong capabilities, it lacks basic, yet appealing features, that people like in their Android devices. It has been Apple’s strategy since the beginning to make the iOS limited and not open like Android is. So here are 5 features that the iPhone doesn’t have that are placing Android in front of Apple. 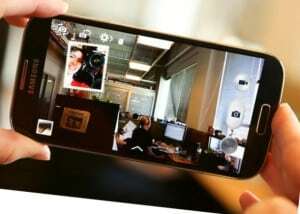 While other competitors such as HTC and Samsung are really upping the game in terms of smartphone camera capabilities and features, Apple has decided to leave the iPhone 5S camera at basic levels, even though it comes with strong hardware. Nokia is leading the way towards the best smartphone camera and the others are close behind, while the iPhone is still offering basic features. On the iPhone, even since its beginning, users cannot use voice and data at the same time. This is one of the worst disadvantages of the iPhone because with multitasking being in the center of attention in the Android world, one would assume that he can at least talk on the phone and browse for something online at the same thing. But the iPhone still doesn’t allow that. Android phones had this issue also but slowly every new phone has eliminated this issue allowing 3G or 4G data to work during a phone call. This has been one of the biggest issues with iPhone since the start of the smartphone era. Android was launched as a fully open operating system allowing users to customize their device in any way they want. The problem with this type of technology is that people get bored real fast, so they need something that allows them to turn their device into a whole new experience. The iPhone is always going to be the same limited device unfortunately. In the eyes of many, this is the main thing that keeps them from going over in the Apple camp and also the reason why many users turn to Android. Even though this type of system has its advantages in terms of security and other stuff, people simply don’t like to be limited. NFC wasn’t such a big deal when it was first introduced to Android devices, but it has slowly gained popularity and the technology has been combined with many applications that can ease financial transactions and other types of information transfers. Even so, Apple still hasn’t introduced the Near Field Communication technology in their iPhones and it doesn’t seem like they are going to. This could be a real drawback for those who find the technology useful in everyday life as it continues to evolve in more and more applications. There’s no lie that big displays are popular. We can see that from the evolution of the Galaxy Note series from Samsung. Even though there are some that find it hard to spread their fingers all over the whole 5 or more inches, big screens are gaining more and more popularity. When Apple first introduced the iPhone they said they made it the perfect size, then 4 inches became the perfect size. The truth is there is no perfect size because people have different anatomy and different needs so the best strategy would be the one followed by Samsung: to build devices in all the sizes and then let the people choose the one that they like. Maybe Apple will think about this and start to vary their screen size offer, instead of making cheap plastic ‘budget’ phones that sell at the price of an Android flagship (i’m referring to the new iPhone 5C). Even though there are many other differences between Android devices and iPhones, with strong points on both sides, I still think that Android is the way to go. What do you think? Has Apple hit the jackpot with the iPhone 5S or will people continue to move towards Android?